Edmond J. Safra, one of the 20th century’s most accomplished bankers and a devoted philanthropist, established a major philanthropic foundation to ensure that needy individuals and organizations would continue to receive his assistance and encouragement for many years to come. Following his passing in 1999, and now under the chairmanship of his beloved wife Lily, the Edmond J. Safra Foundation draws continuing inspiration from its founder’s life and values. With Mrs. Safra’s leadership, the Foundation has assisted hundreds of organizations in over 40 countries around the world, and its work encompasses four areas: Education; Science and Medicine; Religion; and Humanitarian Assistance, Culture, and Social Welfare. In the area of Education, some of the Foundation’s most significant projects have included endowing the Center for Ethics at Harvard University and the science campus of the Hebrew University of Jerusalem; helping Israeli universities develop, recruit, and retain the very best faculty through the Edmond J. Safra Program for Faculty Excellence; and supporting Yad Vashem (the international memorial to the victims of the Holocaust in Jerusalem) in its efforts to help teachers impart the lessons of the Holocaust and the values of tolerance and courage to their students. The Edmond J. Safra Foundation continues to underwrite the activities of the ISEF Foundation, which has, since its establishment in 1977 by Mr. and Mrs. Safra, become the largest non-profit organization promoting higher education for gifted Israelis from disadvantaged backgrounds. ISEF has granted over 16,000 scholarships, including support for more than 1,000 MA and PhD students, and recipients of ISEF scholarships continue to distinguish themselves in every discipline. The Foundation established “Keren Shemesh”, an Israeli organization that provides loans and expert mentoring to young people wishing to start small businesses; it has been an underwriting partner of the “A Window to Tomorrow” program, distributing computers and technology training to over 12,000 families; and it initiated a far-reaching program to provide additional educational resources in Israel’s Arab communities. The Foundation has developed a significant portfolio of Parkinson’s disease research and patient care projects at some of the world’s leading universities and scientific institutes including University College London’s Institute of Neurology, King’s College London, Imperial College London, the University of Toronto, New York University, the University of Lund (Sweden), Hadassah Medical Center, the Centre Hospitalier Pitié-Salpêtrière in Paris, and Université Joseph Fourier in Grenoble. It is also one of the leading funders of the Michael J. Fox Foundation for Parkinson’s Research. It has funded the establishment of the Edmond and Lily Safra International Institute of Neuroscience of Natal, Brazil, encompassing a cutting-edge research facility, a school for 1000 underprivileged children in the region, and a women’s medical clinic. At the Hebrew University of Jerusalem, the Foundation made a historic gift to create the largest center for brain research in Israel and one of the most ambitious in the world: the Edmond and Lily Safra Center for Brain Sciences. Additionally, the Foundation supports numerous hospitals worldwide (notably the Edmond and Lily Safra Children’s Hospital at Tel Hashomer, Israel, which treats thousands of patients annually from across the Middle East), has built the Edmond J. Safra Family Lodge at the National Institutes of Health outside Washington, DC for patients participating in clinical trials and their families, and assists numerous other organizations providing relief for those suffering illness (including a camp for children with cancer; community Parkinson’s education services in New York City and Montevideo, Uruguay; residential treatment facilities for severely disabled children in Israel; and medical device lending services; among others). In the area of Religion, the Foundation has built and restored synagogues around the world, some of which are the Edmond J. Safra Synagogue in New York, St. Petersburg’s Grand Choral Synagogue, the Moscow Choral Synagogue, and over a dozen synagogues in towns and cities throughout Israel. 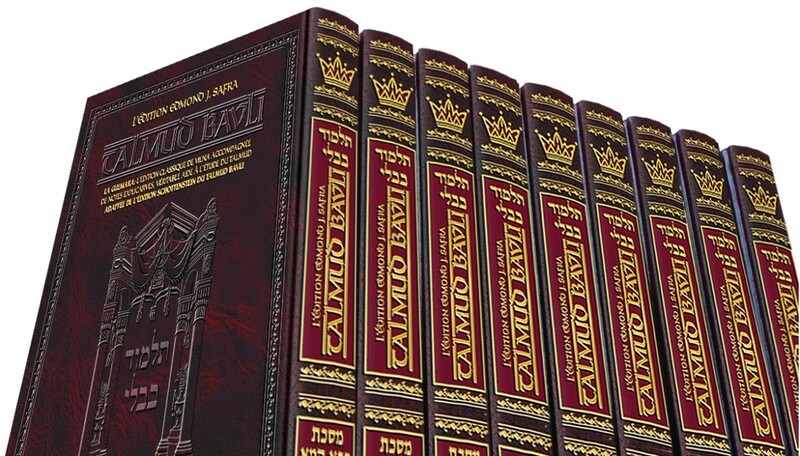 The Foundation sponsored the renovation of the Prayer Hall and Plaza at the Western Wall in Jerusalem and is underwriting French translations of the Hebrew Bible and the 72-volume Babylonian Talmud. The Foundation has assisted numerous arts institutions, providing scholarships for students and helping organizations reach broader and more diverse audiences. Receiving support have been institutions such as the Courtauld Institute of Art in London, New York’s Museum of Jewish Heritage, the National Gallery of Art in Washington (the Edmond J. Safra Visiting Professorship at the Center for Advanced Study in the Visual Arts), the Israel Philharmonic Orchestra, and the Grand Théâtre de Genève. The Edmond J. Safra Foundation has been among the first to respond to some of the world’s worst humanitarian disasters, providing aid after Hurricane Katrina, the Darfur crisis, earthquakes in Kashmir and Indonesia, and the Indian Ocean tsunami. It has also committed resources to rescuing children from the contaminated areas around Chernobyl through the “Children of Chernobyl” program and from Romanian state orphanages through the “Hope and Homes for Children” organization. Additionally, it is helping to build the “Agahozo-Shalom Youth Village” in Rwanda for children orphaned by the genocide and is funding vital welfare services (food, medicines, clothing, and other necessities) for the elderly in Odessa and Dnepropetrovsk, Ukraine.